Did you hear the recent release of Antminer Z9 – An ASIC to mine Equihash? With specs like that (10K Sol/s @ 300 W) it’s really a nightmare for GPU miners. Especially when top coins like Ethereum and Zcash which controls most of the hashrate has no plan of forking to resist ASICs. Also It’s pretty obvious that Bitmain and other Chinese companies are working or have a product ready for NeoScrypt as well. With all such news and rumors there is one coin that stands out and gets all the attention from the crypto currency mining community and that’s Ravencoin. Among the crypto currency miners (GPU miners) ASICs have been widely opposed for a long time because of the fact that it creates centralized mining environment. ASICs are powerful, faster and expensive compared to GPU and not everyone can get their hands on. But in the case of Equihash it’s the other way around. This new ASIC seems faster, cheaper and consumes less power than GPU. With such aspect most miners fear that GPU mining is nearing its end. Is that true? we don’t think so especially when coins like Ravencoin and Pigeoncoin are to the rescue which strongly opposes ASIC mining. As the result of this Equihash ASIC; Ravencoin is recently getting all the coverage from Reddit to Twitter and Discord. Due to this the price of Ravencoin is spiking and more miners incoming. What to Mine shows Ravencoin as the most profitable coin to mine currently. Not just NVIDIA but also for AMD. GTX 1080 TI @ $3.75, GTX 1070 @ $2, Vega 64 @ $3.25 and RX 480 @ $1.75 a day. If you never heard about Ravencoin or don’t know where to start with mining then you are at the right place. This is the complete beginners guide on how to mine Ravencoin. Mining X16R algorithm with both NVIDIA and AMD GPU. Here we’ll share all the links that are needed for you to get started with Ravencoin and all the resources you need for mining from pools to mining software’s. Ravencoin is an open source, decentralized digital peer to peer network that is working on implementing a use case specific blockchain. It is designed to handle one specific function that is transferring of assets from one party to another. Also it is said to have capabilities similar to Ethereum ERC20 token. More information on Ravencoin project can be found on their Whitepaper. 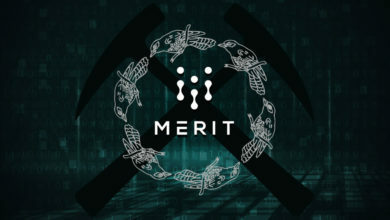 This project was launched on January 2018 and is forked of the Bitcoin code. Unlike other coins this one had no pre mine and no ICO. 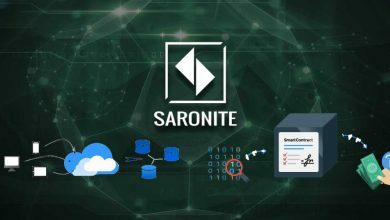 Moreover the network is entirely secured by miners. Yes, it’s a complete Proof of Work coin in which all RVN is fairly issued and mined publicly. It uses X16R Proof of Work algorithm which was specifically created for Ravencoin. What so special about X16R and how it will combat ASIC? Unlike other Altcoins Ravencoin has gained popularity so quickly and that too even before the release of project roadmap or whitepaper. The success is mainly because of the unique design in PoW algorithm called X16R. X16R consist of 16 random hashing algorithms which operates in a chain fashion with the order depending on the hash of the previous block. The algorithms that compose X16R are blake, bmw, cubehash, echo, fugue, groestl, hamsi, jh, keccak, luffa, sha512, shabal, shavite, simd, skein and whirlpool. Rather than we explaining we suggest you to read the X16R whitepaper to better understand how this algo works. Due to this randomness in algorithm it’s really hard for one to program ASIC machines. Especially considering the time and cost that it involves. Moreover Ravencoin alone isn’t big enough currently for someone to invest the effort to make an ASIC. Even in the future if there is powerful machine designed to mine X16R then it won’t be ASIC, but FPGAs (Field Programmable Gate Array). Yes, there are chance for development of such machines for X16R. Say for instance If more coins switched to X16R then the development of ASIC or FPGA would be accelerated. In order to send your mining income you’ll need a wallet address first. We’ve already covered in depth about how to setup Ravencoin wallet. Please make use of that guide and get your wallets ready to start mining. Alright! we hope you got your RVN address ready. Now before getting in to mining guide we’ll first list all the available miners for x16r and the pools for Ravencoin mining. We’ve already listed all the x16r miners along with the download links so we are not going to get into that again. However we’d like to mention the best miner for x16r that is well optimized, runs stable and gets the best out of your GPU. With wide range of mining software’s available it’s important that you choose the best miner for your GPU. After doing several head to head tests by a community member it’s obvious that few miners stands out and performs better than the rest. One of them is Enemy miner which is largely used by NVIDIA Miners. Best NVIDIA Miner for X16R: For NVIDIA currently the best miner for X16r is zealot/enemy-1.08 which is new and a closed source miner. Also it contains 1% dev fee. If you are not okay with closed source miner then the alternative option would be Suprminer 1.6 or Nevermore 0.2.2. Best AMD Miner for X16R: Currently the best and the most used miner for AMD graphic cards is Avermore miner. Even though AMD performs a bit slow compared to NVIDIA; with this miner you can significantly improve the hashrates and is stable as well. Note: The above mentioned miners are available for Windows and Linux. Also they can be used on both Hive OS and SMOS. General Tip: Download the file and unzip the miner. 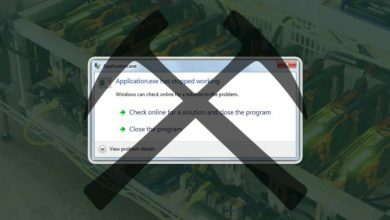 During this step your miner might get flagged by Windows or Antivirus which happens with most mining software’s. It’s very common so just add the miner to exclusions list and you should be good to go. There was a Raven wallet miner before which the developers removed since it became profitless. Also in this post we are not going to cover about CPU mining or Solo mining. Because of the network hash and current difficulty its near impossible to solo mine until unless you have a large GPU farm. It’s better that you point your mining rig towards a mining pool where you can receive consistent payments in timely manner. There are plenty of PPS and PPLNS pools available for Ravencoin mining varying from 0% to 2% fees. We are not going to list them all as most pools have little to no miners. However we’ll list the top 10 pools where most of the miners are active and the choice is yours. Remember that whichever pool you are on by the end of the day your payouts will eventually even out. So there is no such this as best pool, it’s only miners preference. Would you prefer PPLNS ? then you have Supernova and Virtopia. 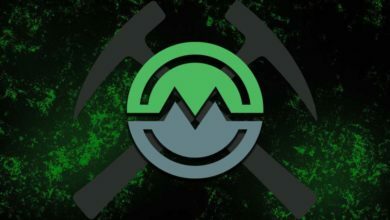 If you are a small or hobby miner then you can join Ravenminer where you can expect payouts regularly. If you have several mining rigs then make sure to spread your hash by joining any medium sized pools like Krawww, pool party or pick axe. To make this guide simpler and easy to understand we are going to choose ravenminer.com but you are free to join any pool. Is your wallet address and mining software ready? Good, then let’s start mining Raven coin’s. Now within the mining program you should see an example batch file. If not then this is how you create one. 1. Once the miner is extracted, within the folder create a new text file. 3. Next right click the .bat file and click on edit. Once done add the following code into your batch file. Note: The above code is just a sample batch file so make sure to replace the -o, -u, and -p arguments with your own pool, user, and password. Once done, save it and start the batch file. The miner should now connect to the pool and start mining RVN. Now head to the pool, enter your wallet address to track your earnings. We are not going to explain about Intensity and other mining settings. Since most users mess around and can’t get with the right settings it’s better to mine with default settings. It works well! Also x16r is core intensive and not memory intensive so just increasing the core clock should improve hashrates. Note: Unlike other algorithm in X16R the hashrates won’t be stable. Due to mixed algorithms the hashrates fluctuates a lot. You will also notice power spikes which has been mostly stabilized with the recent miners. Also occasionally you may even experience miner crashes or freezes and in such case try to lower your overclock settings. 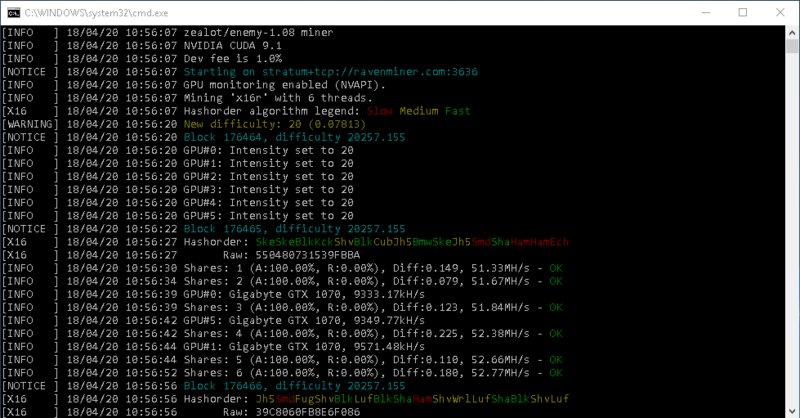 There is instructions on GitHub to optimize hashrate for Avermore Miner. (Link: https://github.com/brian112358/avermore-miner/wiki/Optimizing-Hashrate), You can make use of that. Also additionally on the same page you can find instructions on Linux and Hive OS installation for Avermore miner. Hope that helps. To calculate your mining profitability you can use what to mine. Apart from that you can use http://ravencalc.xyz/. 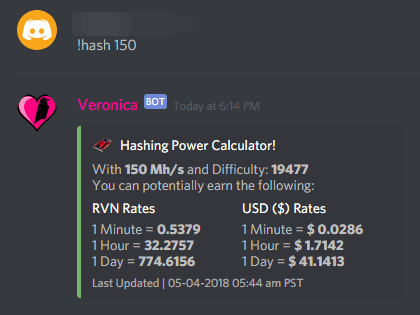 Also you can make use of the bot in Discord channel which by entering your hash power returns the number of Ravencoin that you can earn for a day at current difficulty. The estimates which the bot returns is close to accurate. What hashrates can I expect with my GPU on x16r? The above hashrates are just a rough estimate and not accurate. It may vary slightly depending on ones hardware settings and environment. We hope the above guide has covered everything about Ravencoin mining. If there is anything that we missed out then please point out. Also if you have any trouble with the miner then please mention it in comments section, we’ll help you out. Moreover you can join the Raven discord where the community is so active and you can get instant help on anything related to Ravencoin. Aside from being just ASIC resistance this coin focuses on building a useful technology with blockchain. The project is completely transparent and the community is growing strong. There was no pre-mine, no ICO and no masternodes. With all these little characteristics we think that Ravencoin is going to excel soon. what do you think? Feel free to share your opinion. What difficulty should be set for 5×1080 Ti rig and for 10×1060 6GB rig?? Take the total average hashrate from console and divide by 1.5. Actually the pool sets difficulty for miners. It is better to let them handle it for you instead of you setting manually. We are using auto difficulty setting and it works well. hi I have followed the steps you have taken and have done the excavation process so that you can transfer some of the accounts without any problems. but the computer sees the files you have infected and deletes them. then when I tried on my friend’s computer the virus was infected, what is the problem?